Cheekwood is a 55-acre botanical garden and historic estate in Nashville, featuring art galleries, seasonal festivals and breathtaking wedding venues. As a visitor it was such a treat to visit Cheekwood after spending time in downtown Nashville (which we also loved). The drive to Cheekwood gave us a glimpse into the surrounding area of Nashville. The sculpture garden was a lovely walk through nature and the house provided a nice glimpse into the history of the mansion. 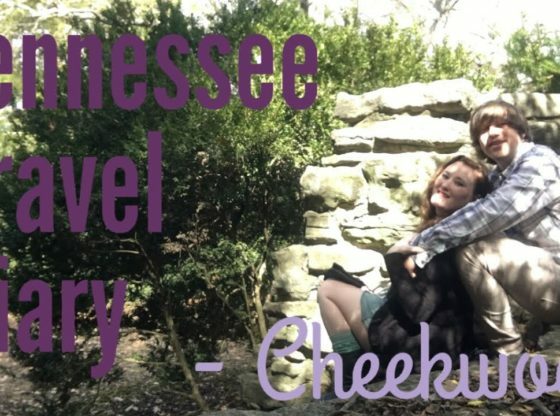 Plan your next trip to Nashville, TN and be sure to visit Cheekwood Estate and Gardens. Tennessee offers many local attractions and business for you to explore. Greetings from Nashville and Welcome to Cheekwood. Once the family home of Mabel and Leslie Cheek, this extraordinary 1930s estate, with its Georgian mansion and 55 acres of cultivated gardens and expansive vistas, today serves the public as a botanic garden, woodland sculpture trail, and art museum. Cheekwood arts & gardens annual Cheekwood in Bloom starts on March 7th and runs thru April 9th.. 100,000 tulips will be on display throughout Cheekwood's vast gardens. Daffodils, magnolias, redbuds and dogwoods will also be blooming in the spring as warmer weather and longer days arrive in Nashville.